In what’s got be one of the most genius dessert mash-ups this century, Yolkin combine mouthwatering macarons with smooth, creamy ice cream. Satisfy your sweet-tooth this Easter with something a little different from Chinatown London. With enough dessert options to keep your tastebuds tantalised for weeks on end, we’ve rounded up ten sweet spots that’ll go down a treat this Easter. 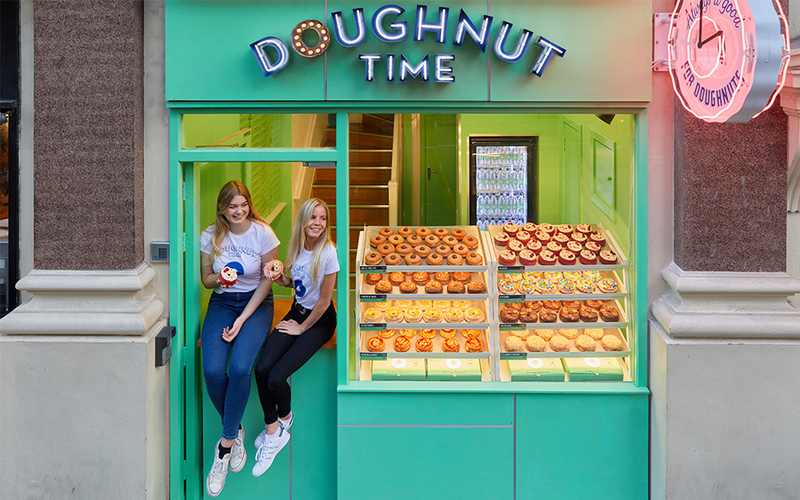 Elevating the humble doughnut to something altogether gooier, glazier, and totally gluttonous, Doughnut Time is a must-visit for sugar-freaks. The bright mint green store on Shaftesbury Avenue has row after row of bakes in the window luring you in. Expect colourful, creative, hand-finished rings of joy like No Share, topped with chocolate and Ferrero Rocher, or Sia Later, a red velvet doughnut with vegan butter cream. A hip dessert parlour with an ultra-cool 80s vibe, RoRo serves up neatly-coiled crêpe rolls and beautifully-layered square cakes. With neon lights and pastel walls, it boasts one of Chinatown’s coolest interiors. But let’s talk about those puds. 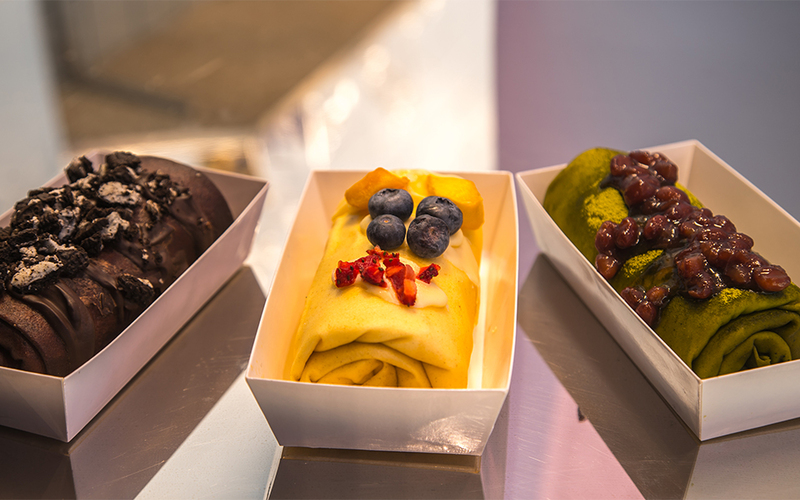 Whether you’re more of a fruity or chocolate-inclined persuasion, there’s a crêpe roll for your taste, finished to perfection with a yummy filing and topping. 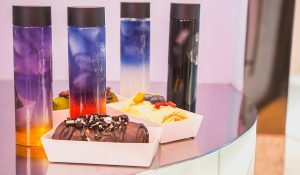 Wash your desserts down with one of RoRo’s Colour Changing Sparkle drinks. Totally two-tone, the colours come separated until you shake – the Lychee & Aloe and Passionfruit & Mango juices taste as good as they look. For a more traditionally Hong Kong-esque treat, make a beeline for Guo C 100. 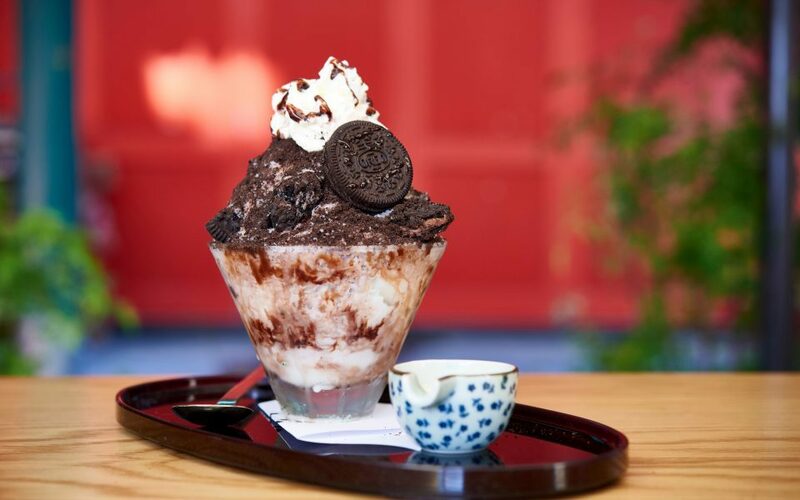 The Chinatown London outlet of China’s most loved dessert brands is all about keeping things simple – and (almost) healthy. 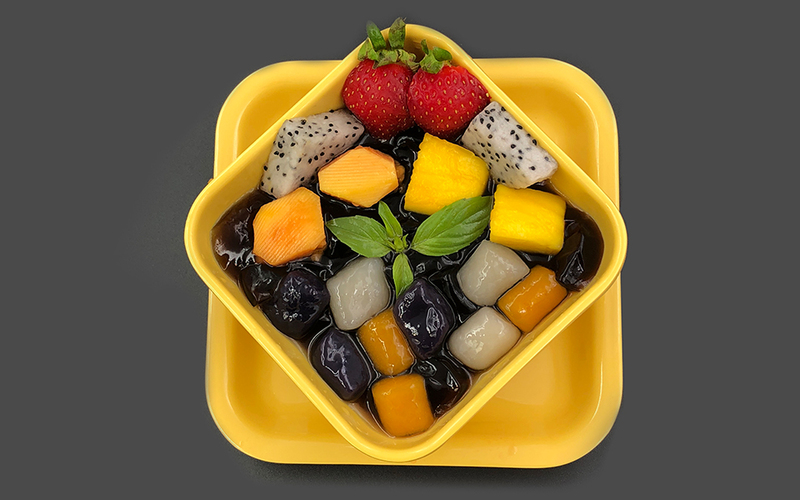 Expect fresh, fruit-based Asian puddings like Mango Taro Ball – 100% natural with fresh mango, tapioca pearls, grass jelly, and coconut milk. Or Mien Mien – shaved ice on a bed of strawberry and mango. The emporium that launched a thousand waffle cones, held aloft in front of Chinatown London’s grand gates. Yes, Bubblewrap’s cuddly waffle cones, generously stuffed with fresh fruits, ice cream and Oreo have been clogging-up feeds of dessert devotees since the parlour opened in 2017. What can we say about Bubblewrap’s sensational, Hong Kong-style snacks? Waffle down, pronto! 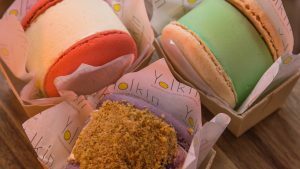 In what’s got be one of the most genius dessert mash-ups this century, Yolkin combine mouthwatering macarons with smooth, creamy ice cream. 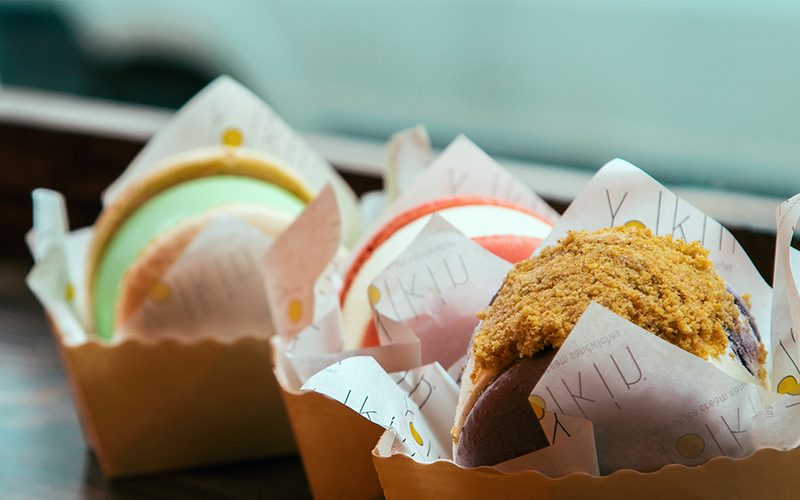 These signature sweet sandwiches are the brainchild of founder Sammie Le who came up with the idea of using discarded yolks to make ice cream after making macarons. With an ever-changing array of East-meets-West flavours like Snickers, Milo & Cookies, Taro & Cornflake, you’ll fall in love at first lick. With palm-leaf print walls, electric signs and bundles of colourful Filipino desserts to choose from it’s no wonder Mamasons are hitting the social media sweet spot. Filipino “dirty” ice cream involves the traditional Manila technique of mixing ice and salt into ice cream (with the help of a sturdy pair of hands and a steel drum). But why’s it dirty you ask? Some say the name was spread by mothers looking to scare naughty kids away from gorging themselves silly on this popular street treat. Sorry mums, the desserts are perfectly clean, and utterly irresistible! 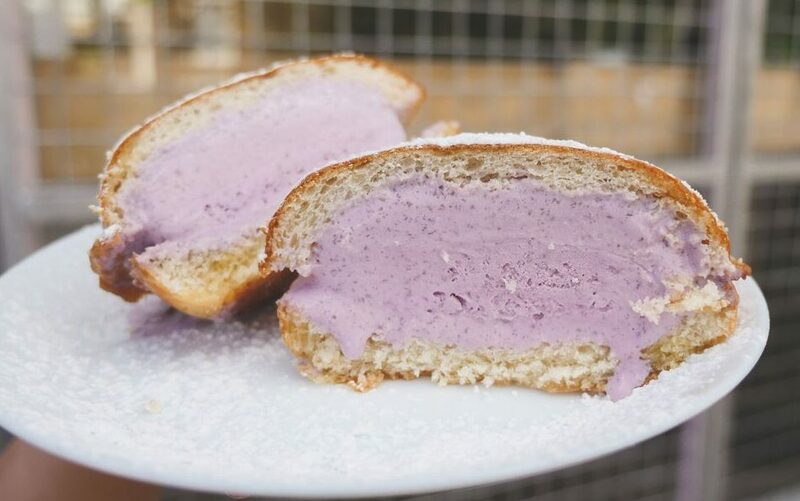 Try the ube-filled bilog, a pandesal milk bun filled with purple yam ice cream, lightly toasted and dusted with a sugar coating. The ancient art of Japanese matcha tea ceremony gets a 21st century remix at Tsujiri. 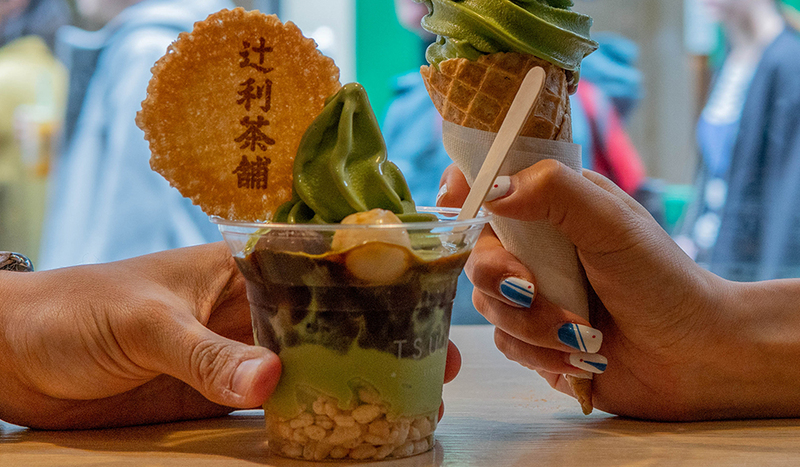 The heritage tea house has a 155 year-old legacy in Japan and their Newport Court outpost serves up ceremonial grade healthy matcha and sencha teas alongside seriously Insta-worthy matcha sundaes piled high with tasty toppings. 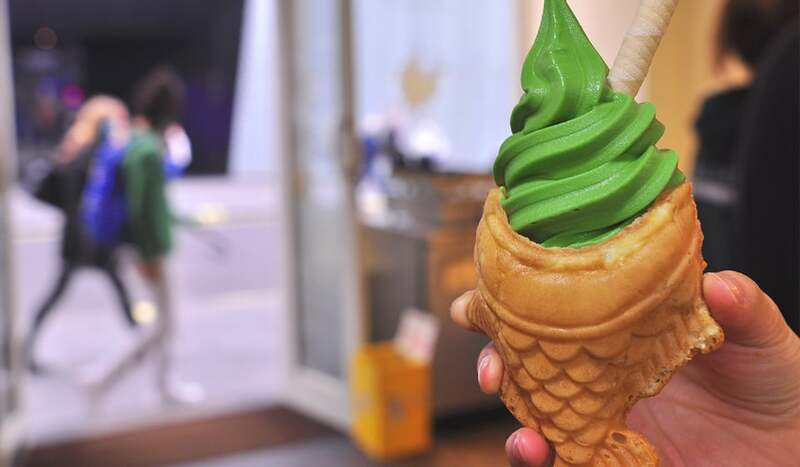 Shibuya Soho are Japanese café cuisine masters, and their ice creams aren’t just any old ice cream. They’re gigantic, towering piles of shaved ice heaving at the seams with Oreos, strawberries, mangos and azuki red beans. Looking for a challenge? ‘Bingsu’, a popular Korean dessert comes comprised of flaky shards of ice milk in a mound so big you’ll have to rope in neighbouring diners to help you finish it. Behind the counter there is a tempting array of baked Japanese cake delights, like Matcha Roll Cake (a squishy sponge filled with a whipped green tea cream), or tempting Nama Cream Strawberry Cake. 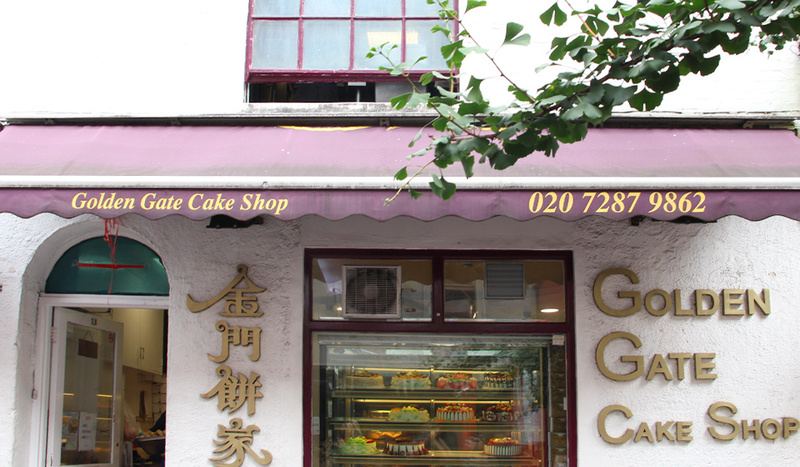 With over 80 kinds of Oriental cakes in Golden Gate Cake Shop you’ll be spoiled for choice! 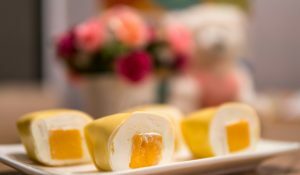 The Mango Cake has a zingy, fruity taste with layers of fresh mango on top of the cream, perfect for spring. While their Creamy Custard Buns with a sweet rich milky filling encased in soft dough are simply irresistible. The shop also makes customised birthday cakes in bright colours, topped with fresh fruit or in fun shapes like Hello Kitty. So why not surprise someone with a quirky custom-made Easter treat? 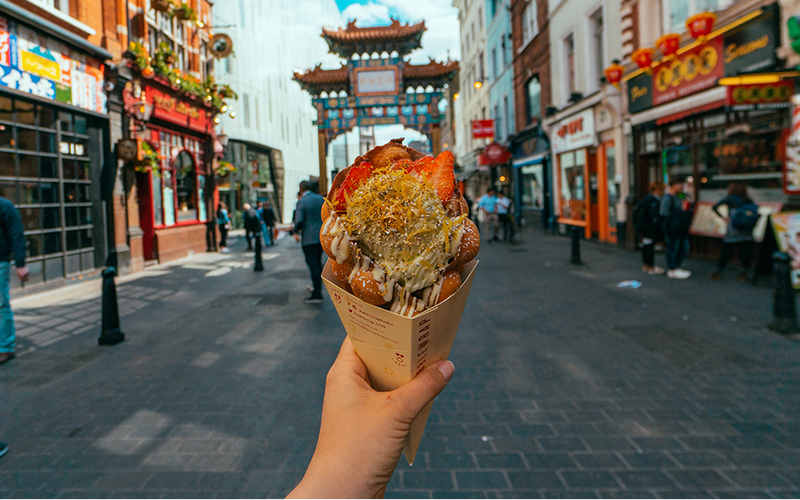 Let us know if you try any of these treats on social media by tagging @chinatownlondon on Instagram, Facebook and Twitter – we love to see your snaps!